A GENERAL ELECTION WILL BE HELD ON TUESDAY, November 3, 2015 At the usual places of holding elections throughout the County. Your application to receive a ballot must be received by mail no later than Saturday October 31, 2015 at 12:00 noon. For more information on Absentee voting click here. Request your absentee ballot by clicking here. Ballots will be sent out beginning 45 days prior to the election. Your application to receive a ballot must be received no later than noon the Saturday before the election. For more information on Overseas Citizens and Military voting click here. Voters can easily check their voter registration information, including voting address and polling location, online at MyOhioVote.com. You may also contact your county boards of elections to check your registration and polling location. Already Registered? Update your registered address online at MyOhioVote.com. Your properly completed voter registration form must be postmarked by the 30th day before the election in order to vote. Requirements, places of registration and answers to frequent questions can be found on the Secretary of State’s website. 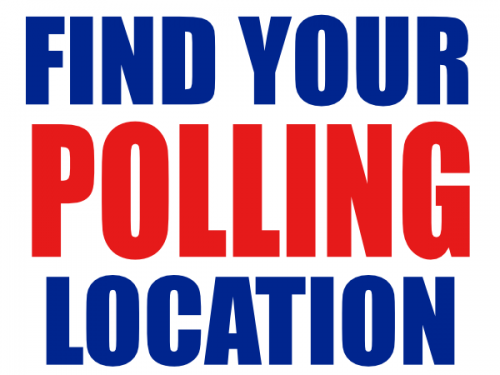 All Polling Locations that will be open will be listed closer to election. Polls are open 6:30 am to 7:30 pm on Election Day. Voters choosing to head to the polls on Election Day need to remember to bring the proper form of ID and know their polling place and precinct. Voters can check their polling place and precinct and get other important voting information by clicking here.